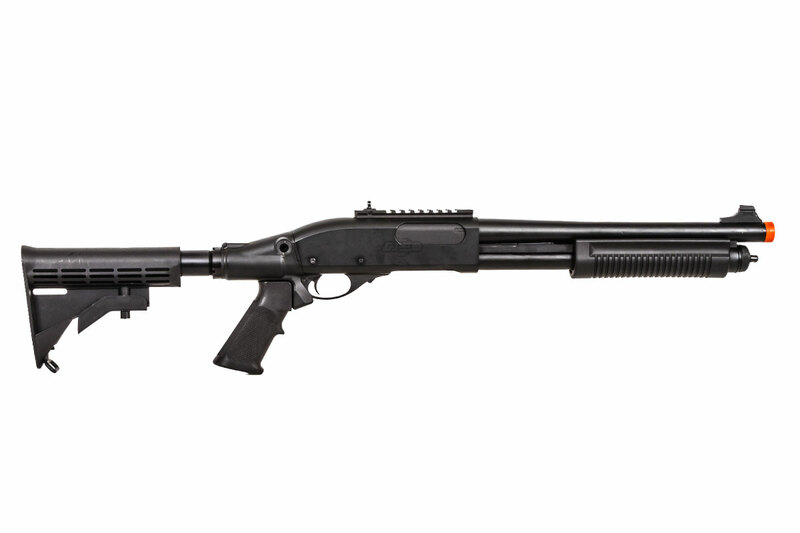 Take your game play to the next level with the JAG Arms Scattergun shotgun series! 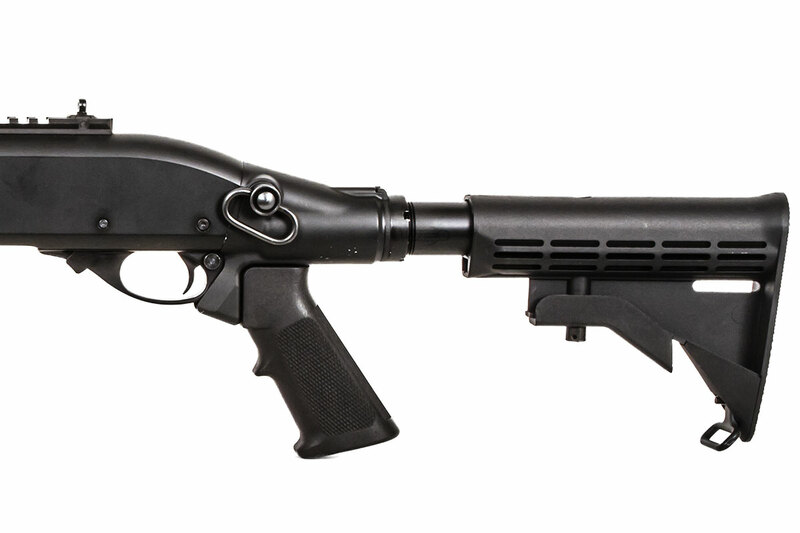 The retractable stock design of the TS scattergun allows the user to adjust the platform for closer or further contact with the airsoft gun from the body. 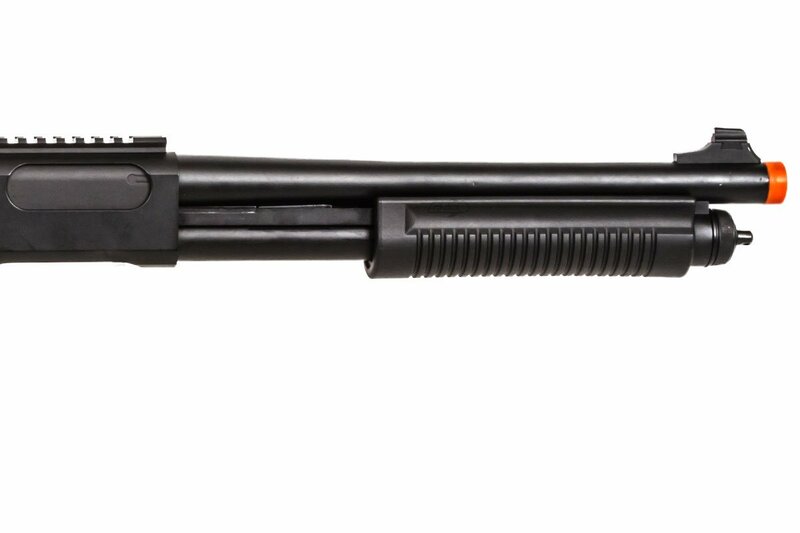 JAG Arms's TS scattergun uses a pistol grip combined with the retractable stock for ultimate comfort and weapon manipulation. 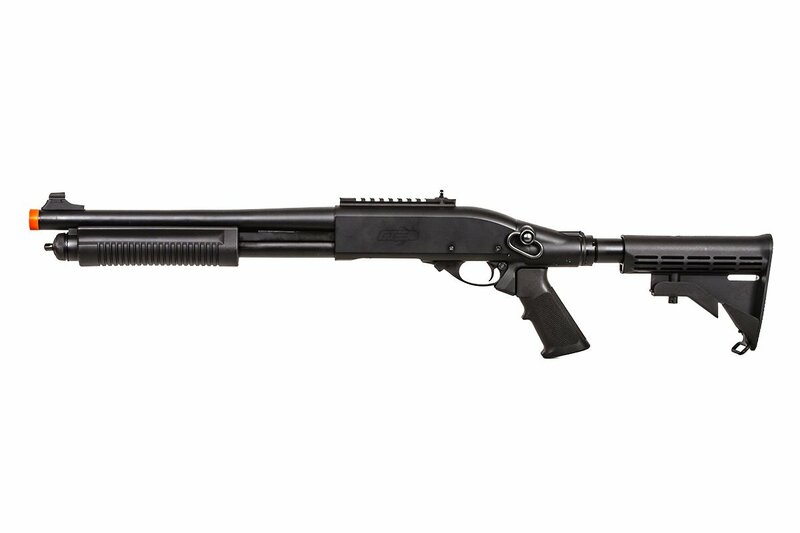 Additionally, a top rail segment is included so that an optic or other tactical accessories can be installed. 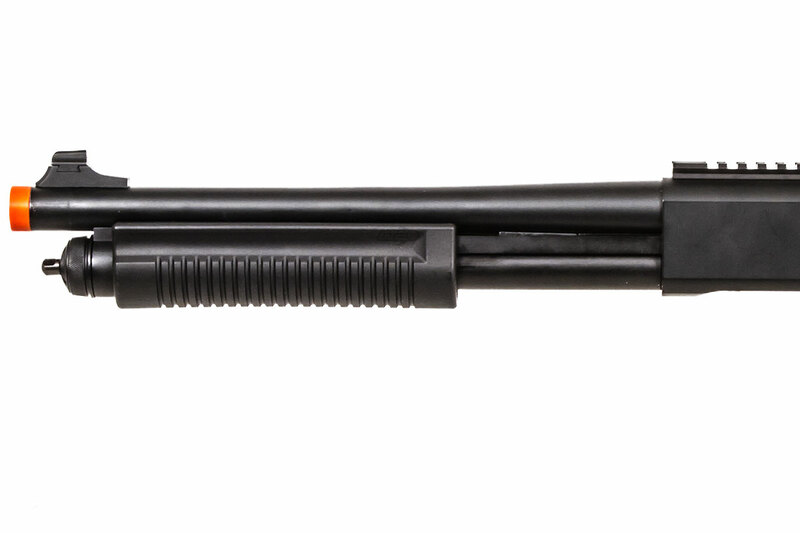 The shotgun features a gas tank hidden inside the buffer of the airsoft gun. 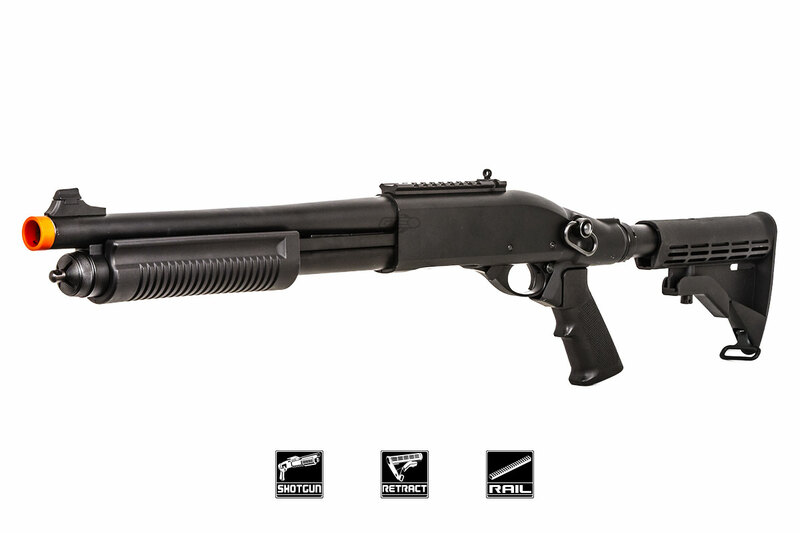 The shotgun is compatible with any TM 30 round style shell, and the 30 round shells used for UTG Spring Shotguns, which is predominately used in M3 style triburst shotguns. How do I know when the gas tank is full? When you can hear it pressurize and stop hissing when filling up. Can the gas tank be changed if the original breaks over time and theiigh use? 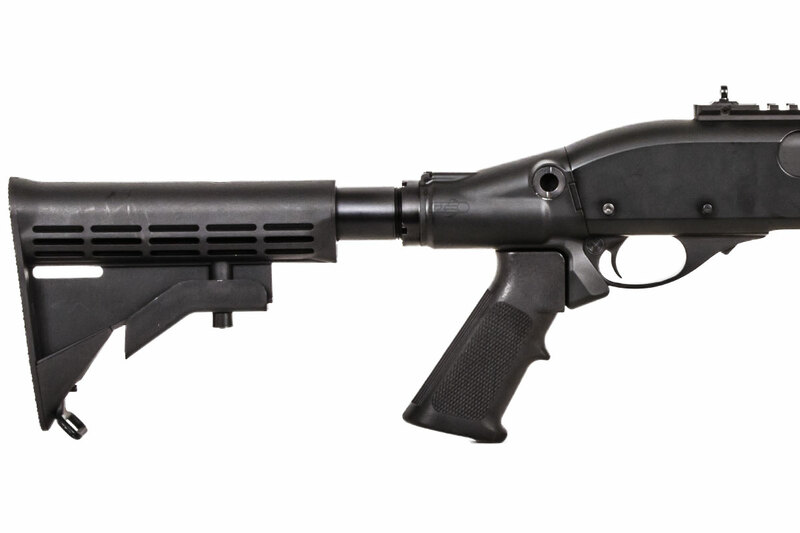 How much Green gas fits into the stock? There's no set number to how many shots any resevoir can hold, it all depends on how the user shoots it.